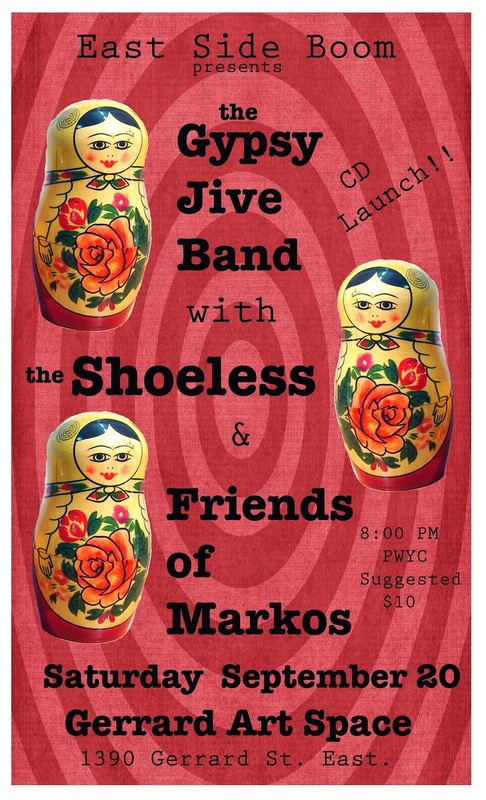 ESB Presents The Gypsy Jive CD Launch, alongside two great bands. The Shoeless will kick things off at 8:00 pm sharp. This trio of incredible musicians (Emilyn Stam, Frank Evans and Eli bender) will play music from ALL CORNERS of the earth, on violin, banjo and cello, Bela Fleck meets Bela Bartok in Appalachia! with Conny Nowe sitting in on percussion. Closing out the night will be Friends of Markos, with a set of classic Rebetiko music. Michael Kaler (bouzouki and vocals), Michealangelo Ialdafano (baglama and vocals), Mark Zurawinski (percussion) and the now familiar Rachel Melas (still on bass)and Conny Nowe (guitar). Matt Wood presents a controlled yet deeply expressive collection of new works that are as esthetically pleasing as they are involving. Sheet Goods is an intriguing compilation of work, bold not just in Wood’s overt use of bright colour, but in the range of landscapes presented in each piece. Classically Canadian is his attention to environment, Wood captures a variety of figurative and more literal expressions of the scenic world we inhabit. Vaguely reminiscent of a more modern and interpretive Group of Seven, Wood’s work exudes a freedom of movement usually dampened by the heavier paint medium and rarely so enthusiastically portrayed with such mature delicacy. Wood’s approach and technique are consistently engaging throughout his exhibit, demonstrating skill, care, and a commitment to a more simplistic reflection of typically over-thought expressions. 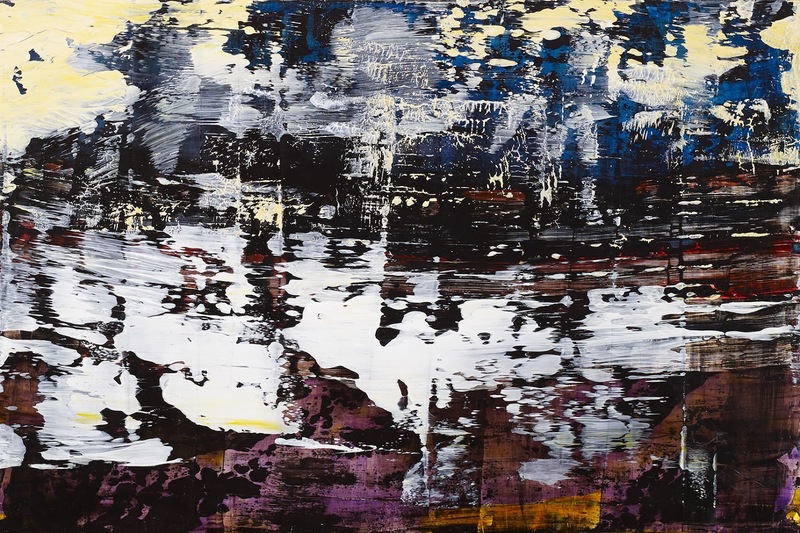 Easily described as fresh, Wood seems to emanate a more playful Gerhard Richter, using a similar layering and scraping away technique, while maintaining a more open attitude towards colour experimentation. Wood’s toying with horizontal and vertical movement keeps Sheet Goods cheerful and accessible, light and yet just as resonating. More importantly, Sheet Goods is comprised of moments. Despite his penchant for movement, Wood has allowed each piece of plywood to hold hostage a moment in time, a touch of an event, capturing a tension in each that is as fleeting as it is grounding. Sheet Goods: Paintings on Plywood is an exhibit not to be endured, but easily and thoroughly enjoyed. Matt sold half his work that evening! From all @ GAS, congratulations Matt on a beautiful show. Well done!